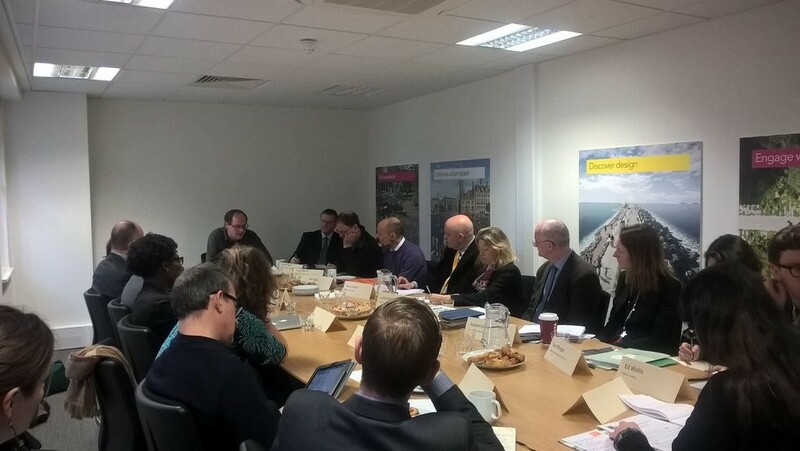 A cross section of stakeholders including the GLA, NESTA, HLF, landscape professionals, Parks Alliance board members and National Federation of Parks and Green Spaces, met on Friday 22 January to discuss future funding models for parks. Hosted by Horticulture Week’s editor Kate Lowe, the group was presented with international comparisons and experience by Neil McCarthy of the World Urban Parks forum. Neil McCarthy’s thoughtful presentation made the point that all successful funding models are connected and linked to leadership. Neil said that the sector had struggled with a new funding model for last 10 to 15 years but had found no closure nor clarity and it was now time to do things differently. He also made the point that it might be the time to accept the fact that public funding will not be increased in the near future. How should Parks be funded? Public and private finance? How do we move the paradigm from the cost to the value of parks? What is the best way to influence the decision-makers? What should be the future shape of the governance of parks? Are Trusts the way forward? Many contributors thought that finance in itself was not the issue but more one of governance and leadership. On the wider point, as a sector we need a step change in how we think about space, who uses that space and for what purpose, when we think about what parks can offer. It was generally accepted that there should be a different range of business models and not a one size fits all approach. That the sector should try new business models and should be brave enough to accept that some might not work. All acknowledged that we face severe challenges. That there are positive areas in the UK with well-funded parks but that is not true for all areas and all parks. This was the first in a series of roundtables by the Park Alliance to develop policy and tease out options for new funding models so that we can ensure that parks continue to flourish. One outcome of event is that the Parks Alliance will seek to reach out and create space for further and greater community involvement. Future roundtables are planned on other topics but in the meantime, there is a forthcoming NESTA event on lessons from their rethinking parks report.